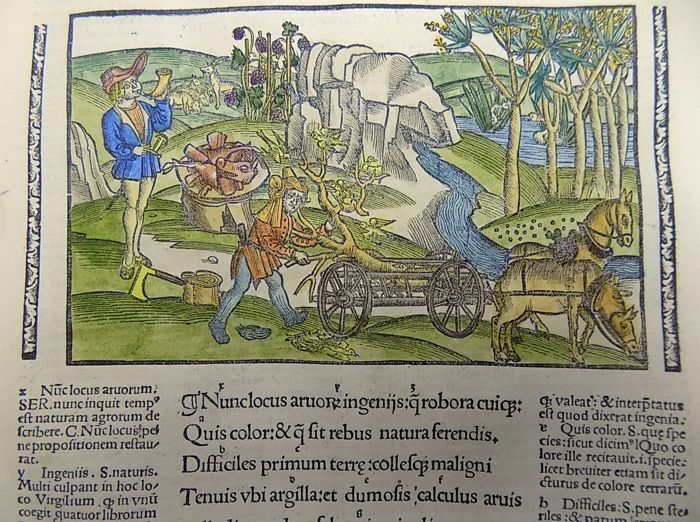 Incunabula woodcut with detailed Medieval landscape. 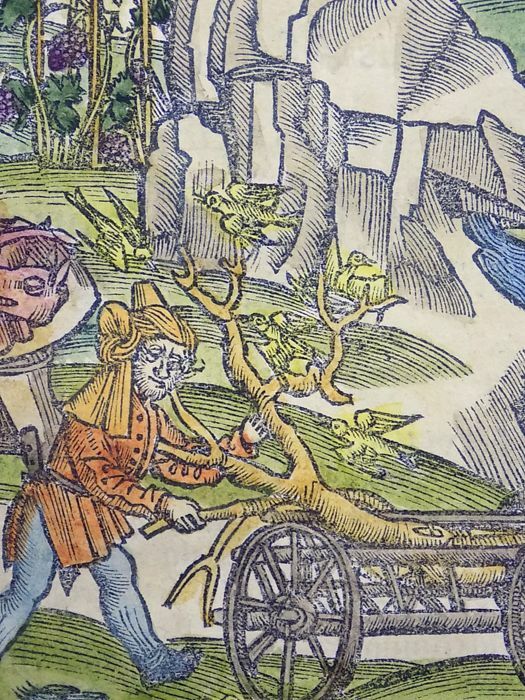 515 year old original. First impression. 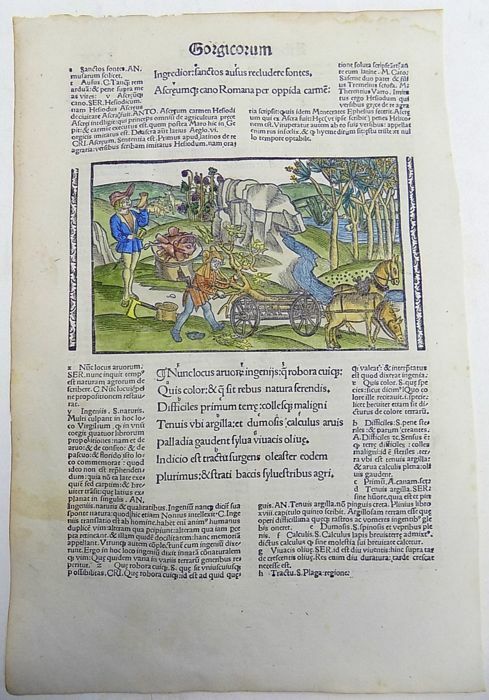 Renaissance woodcut leaf from the works of Virgil published by Brandt. 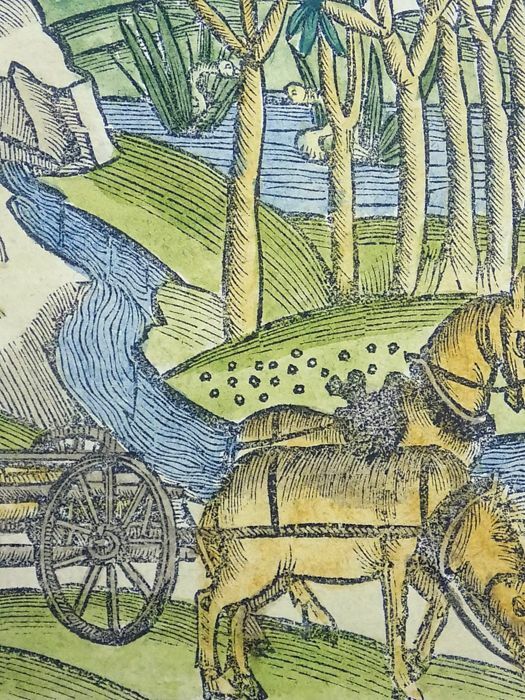 This first edition fron 1502 is rightly acclaimed for its magnificent series of woodcut illustrations by the anonymous Late Master of the Grüninger Workshop. Very good condition. Minor age toning. 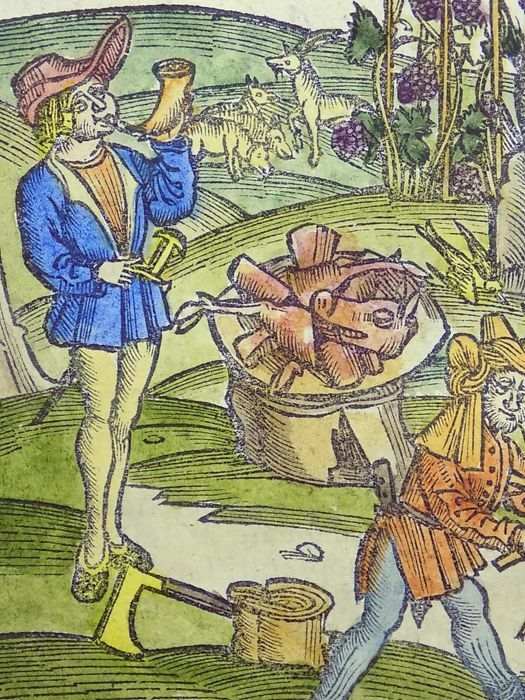 The Woodcut shows a scene from Virgil's Georgics.